Andy: I think in order to properly characterize what’s happening in the industry, it’s important to start from a big-picture perspective, which is that by and large the masses in this country are not involved in precious metals. In my experience, the move we’ve seen in gold over the last decade has primarily been from international investment – sovereign wealth funds in the Orient, petrodollars in the Middle East, India buying from the IMF, Russia and Japan accumulating, etc. Most U.S. investors have lived through nothing but prosperity and good times, where they perhaps didn’t think they needed to own gold – but I think the rest of the world isn’t as optimistic about the future. So when you talk about supply, it’s important to acknowledge that most people in this country don’t own any gold and silver. To me, that’s what should really alarm people. Andy: They frequently run out, they frequently have delivery delays, and it’s a situation where very quickly we could see major disruption in the supply chain. So product was impossible to get, but not just from the primary mints; even the refiners that made 100-ounce silver bars couldn’t get them. No one could get anything, and it was a very scary time if you owned a gold company. There were many days I sat at my desk wondering how I was going to get product tomorrow, and there were times we couldn’t take orders whatsoever. And that comes from a company that’s done over $100 million a year in sales, is a member of the certified exchange, and that has contacts that run very deep in the industry – and I couldn’t get anything. Andy: People are afraid. They’re afraid of what’s happening geopolitically, economically, fiscally, and want to hold on to their gold. As they should, because this is exactly the kind of circumstance gold is for. When you look at the fact that there is no secondary market, and then you throw into the mix that the mints are already running into production problems, and then add the troubles in Europe, which could easily spread, I think it’s easy to see how demand could outstrip supply. I assure you, there’s an awful lot of gold acquisition going on in other countries – the Swiss and Germans, for example, see the handwriting on the wall. They were buying everything up when the European crisis broke. It was bedlam for awhile. But to your point, yes, nobody is selling anything right now and almost anything you buy will be dated 2010. That’s because there are no backdated coins to be had virtually anywhere. Maybe 20 here or 50 there, but nothing on a meaningful basis. Andy: Absolutely, especially with the fact that there is no secondary market. Really, the people who enter the game late are going to be at the mercy of the mints. And if the mints run out of supply, or just stopped selling for whatever reason, it’s “game over” for those who want to accumulate. 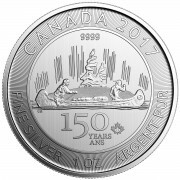 Right now there’s as good a supply as I’ve seen in a couple years, and that’s at a time when we’ve already witnessed the Royal Canadian Mint running out of gold for a week or so, the Austrian Mint also running out of product, and the U.S. Mint rationing Silver Eagles for a short time. Andy: Yes. It’s as good as we’ve seen in a couple years. Andy: I don’t think you’re exaggerating by saying that. And the message is, “Buy now while it’s still available.” I know it may sound like I’m trying to sensationalize it, but I’m really not. Based on what I know, it’s my opinion that if 5% of the people in this country put 5% of their money into gold, there would be nothing left tomorrow morning. Supply is that small compared to the tremendous amount of money that’s out there. Well, it won’t take too many of these kinds of people waking up to gold to drain the supply chain. Most of the wealth in this country is driven through money managers, and at some point these people will tell their managers, “I don’t care what the price or premium is, get me gold.” When they come knocking in large numbers like that, the supply chain will dry up overnight. I know this to be true. If we see an event that drives money managers to buy physical gold, the supply will be gone. 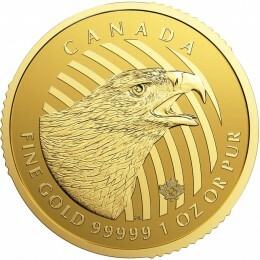 Andy: We’ve seen a lot of demand for silver, probably more so than gold, and the U.S. Mint has already rationed Silver Eagles once this year. Junk silver bags are becoming much harder to get. And I think the higher gold goes, the faster silver will disappear. At some point the American public will realize they should have some gold and silver, and we could see a situation where the gold price could get out of reach for some investors. Those people will turn to silver and, as a result, it will probably be tougher to get than gold. Looking ahead, I can tell you that the only way you’ll see premiums stay where they are is if the mints are able to keep up with demand, and based on what I see I would argue there is no way they can. They can’t even keep up now. On top of that, as I stated, people aren’t going to sell their gold this time unless they absolutely have to, so there won’t be any supply coming from sales. Andy: Acquire as many gold and silver ounces as you can. In the end it’s not about price paid, it’s about number of ounces. View the supply issue as critically as you would the price, because I believe that more than anything else, the lack of available supply will mark this industry. It’s hard to watch much television these days without seeing an ad for a bullion dealer. While you might find the occasional good deal from one of them, we don’t shop there. Why? Partly because they’ve got to pay for those expensive ads, which inflates their prices, and partly because sooner or later you’re going to hear about a “special” price on a “rare” coin that’s a “can’t-miss opportunity.” Don’t fall for it. 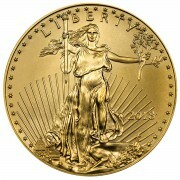 Because we cover the gold industry, we are frequently approached by dealers looking for a recommendation. But much of the time we pass. We currently recommend only four dealers (see sidebar) that have survived our stringent process of scrutiny and left us feeling like we could send them our aging and gullible grandmother. We’re now happy to add a 5th dealer to our select group, one with a great track record and an excellent reputation. And with coin supply tight and likely to get tighter, it’s good to have other options. 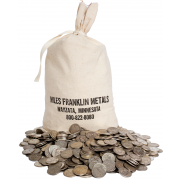 Miles Franklin is one of the larger bullion dealers in the county. They’ve been in business since 1991 and are rated A+ by Minnesota’s Better Business Bureau. In checking with our sources in the industry, we found no hesitations in recommending them or any complaints about past business dealings.